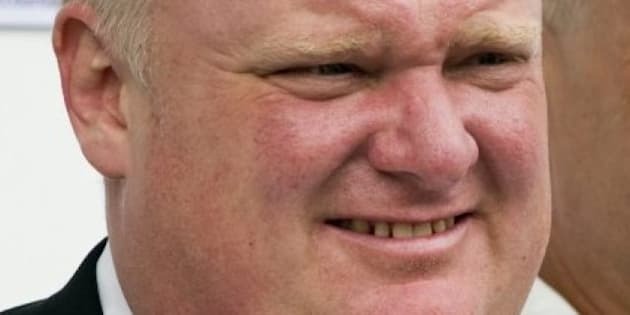 Ford will revoke the ban on the Toronto Star ASAP if he desires any future in this city. The question is, what's the next step after that? He can't buddy-up to the paper -- reconciliation isn't an option when the entire city knows it would be an entirely empty gesture. I've got good news for Toronto Star readers incensed by Rob Ford's decision to effectively banish the city's most-read newspaper from City Hall. The mayor's offensive won't last long. It can't, really. The wave of resentment against Ford's move is growing already -- and not just among the Star's staff and devoted readers. The city's myriad media institutions will not, cannot, stand for this manoeuvre -- they know it sets an ugly precedent that could come back to bite them when Torontonians inevitably vote in a lefty mayor down the road. Ford will cave. But the damage to the mayor's image has already been done. This will hurt the mayor so much more than his decisions to no-show Pride, to devalue arts, to close pools and ice rinks. Those acts were to be expected -- Ford said he'd do them. Up until now, whether or not you supported his stance, you could admire Ford's resolve, his balls-to-the-wall governing style. It was different, so unlike your run-of-the-mill politico speaking from both sides of his mouth, making decisions based on vote counts and perceived public pressure. Ford was different, in that sense. He wasn't afraid to be brash, even ugly, when he felt he had to be. This is different. In ostracizing the Star, Ford is displaying fear, perhaps for the first time since he took office. How else to explain this move? Yes, the Star has repeatedly, almost continuously, insulted, the mayor, personally and politically. He is obviously affected by these statements, but his response lacks the machismo Torontonians have come to expect from Ford. Until now, the mayor has shown cajones in taking on his enemies in the city. Now, he's turning defensive, pouty -- and that's the worst move any politician can make. It signifies weakness and uncertainty. Hiding from his enemies makes Ford look like a coward, a petulant child whining because he can't get his way. Or worse, a tyrant, muting and ostracizing his detractors simply because he can. Ford will revoke the ban on the Star ASAP if he desires any future in this city. The question is, what's the next step after that? He can't buddy-up to the paper -- reconciliation isn't an option when the entire city knows it would be an entirely empty gesture (the gift of a good politician is to make empty gestures seem meaningful). And by going overboard with this ban, he's forfeited the option to further berate the Star, say, on talk radio, online or in one of Toronto's other newspapers, once he lifts the ban -- that'd just look like sour grapes. He can't bury his head in the sand and hope this goes away -- the Star and its lefty friends in the city won't allow that to happen. The only way to get over this amateurish mistake is to get back to the old Rob Ford -- the guy who wasn't afraid to say, well, anything really. The mayor who was willing to make unpopular decisions because he thought they were the right ones. In short, he must go back on the offensive. Doing so won't make him more popular, but it will make him look more respectable, more like a leader. And that's a start to rehabilitating his character. Like they say in football, a sport the mayor is very familiar with, the best defence is a good offence.